I had someone who follows me on Instagram reach out to me the other day. She is working on a Kitchen project and mentioned that her husband does NOT want Subway tile. Since I just recommended it for the Artisan House Kitchen I ordered samples from my favorite TileBar. I told my client there are so many options available in Subway Tile these days and don’t knock it till you see the samples. 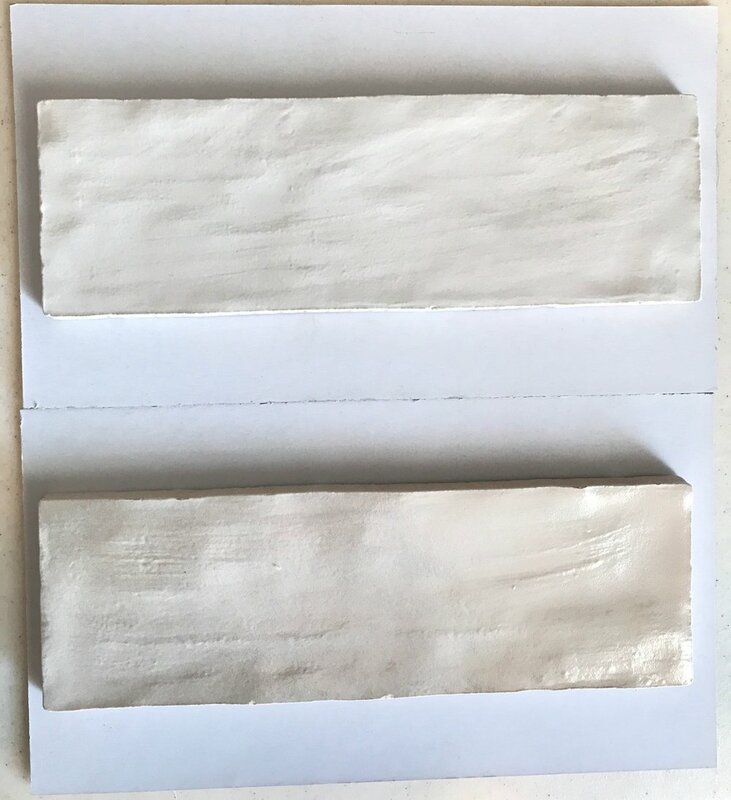 The samples I ordered from TileBar came super quick and I wanted to share with you some of the options I received. I think you will be surprised at how pretty they are. It’s definitely more than just your average ceramic subway tile that first made their debut in New York City's subterranean train stations in the early 1900s. This beautiful kitchen Designed by Sita Montgomery Interiors is from the TileBar website featuring Lancaster Bianco 3x6 Polished Ceramic Tile . Along with a clean beautiful look Subway Tile is also quite timeless as seen here. Here are some of the options we sourced for Artisan House. These are ALL Subway Tile! Not what you were thinking was it? There are different sizes, textures, edge finishes and colors. For this project we need a white or ivory base but the options in color are endless! Click HERE to see all the options. My first choice for this client since they are looking for something a bit unique and raised is the Byzantine Bianco 3D Ceramic Subway Tile paired with the Byzantine Bianco 2x9 Ceramic Subway Tile as shown below. This is how the two look together but I have also seen the raised tile used alone. I like the look of the flat and raised alternating on the backsplash. 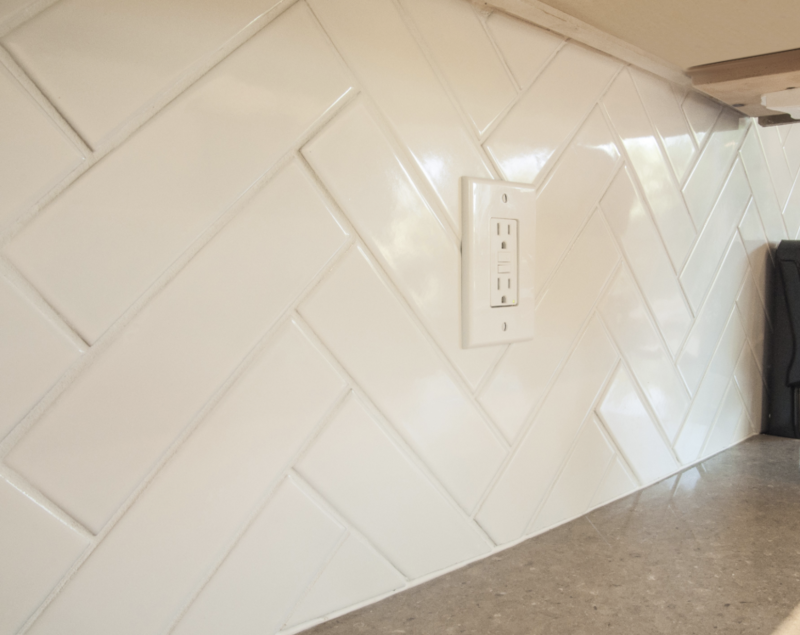 Here is what the Byzantine Bianco 2x9 Ceramic Subway Tile would like like if applied in a chevron pattern. This Montauk Gin 2x8 Ceramic Wall Tile is so beautiful in person. It has a pearlized appearance which adds beauty and warmth. The top color is GIN and the bottom is Sand Dune. Description from TileBar: Inspired by lazy summer weekends spent down at the shore, the Montauk Collection evokes memories of sand between your toes and the smell of saltwater in the air. Available in 5 neutral colorways, Montauk is the perfect choice to add a serene, coastal feel to your space. Each colorway is offered in a 4x4 and 2x8 format making for a plethora of design options. 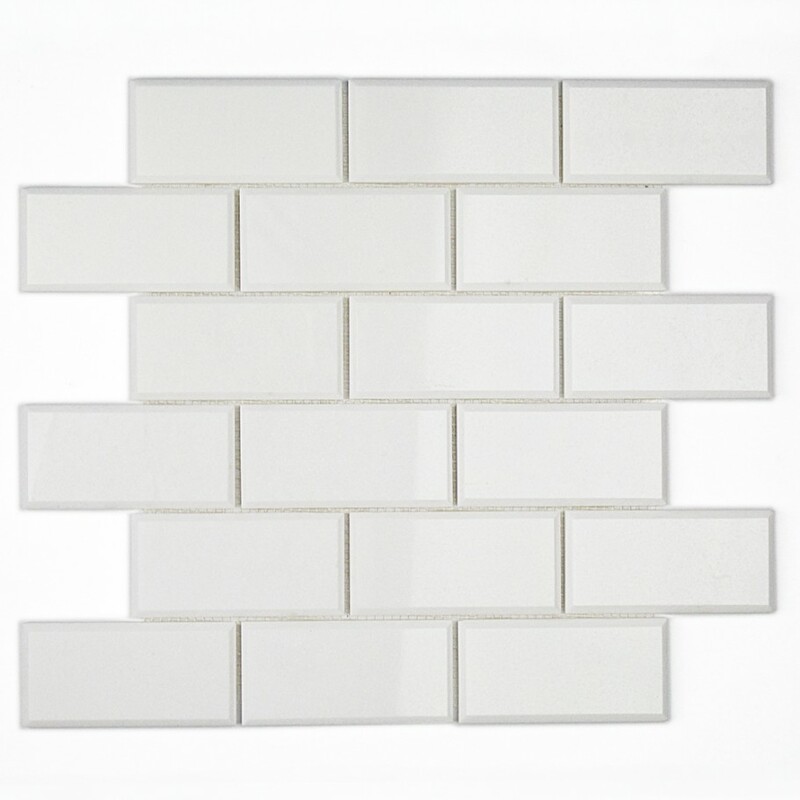 The top tile here is Basic White 3x6 Polished Beveled Ceramic Wall Tile shown below. The middle tile is White Thassos 3x6 Beveled Marble Tile shown below. The bottom White Thassos 2x4 Beveled Marble Tile is shown below. Since I wanted my client to see other size options I ordered these as well. Easy. Breezy. Those are the two words to describe the new, luminous Seaport Collection. Taking inspiration from the metropolitan seaport of Boston, the brilliant sea-inspired colors come alive on these high-gloss tiles. Available in 6 colorways and has corresponding chair rail, liners, and bullnose trim pieces. 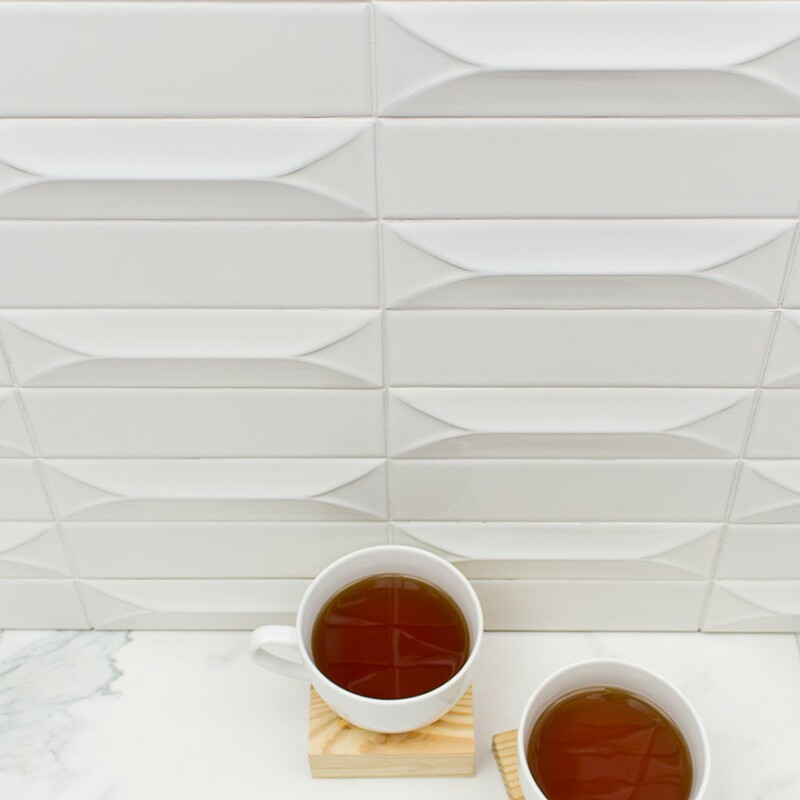 About The Tile: The Seaport Arctic 2x10 Ceramic Tile encompassing the briskness of a chilly day in New England with its whiteish gray coloring. This polished, high gloss tile has slight textural grooves that are felt to the touch. It's perfect to add as a backsplash in the home wherever you want to create an element of cool. Matching ceramic bullnose, pencil liner, and chair rail available. Here are two options in the 3x12 size. Bring some cool, coastal vibes into your space with the Bayou Collection. Inspired by the Gulf Coast, Bayou incorporates many of the trademarks of seaside architecture to form a breezy, barefoot-in-the-sand series of ceramic subway tile perfect for your next project. Looking to bring a bit of the beach into your bathroom? Bayou has got you covered. Stagger & stack or mix & match from 4 versatile colorways and a unique weathered-wood format to create the backsplash or accent wall of your dreams. Manchester Vanilla 3x12 Ceramic Tile is shown at the bottom in the picture above. The Manchester Collection is a series of glazed ceramic tile that offers a modern approach to traditional subway and geometric tile. 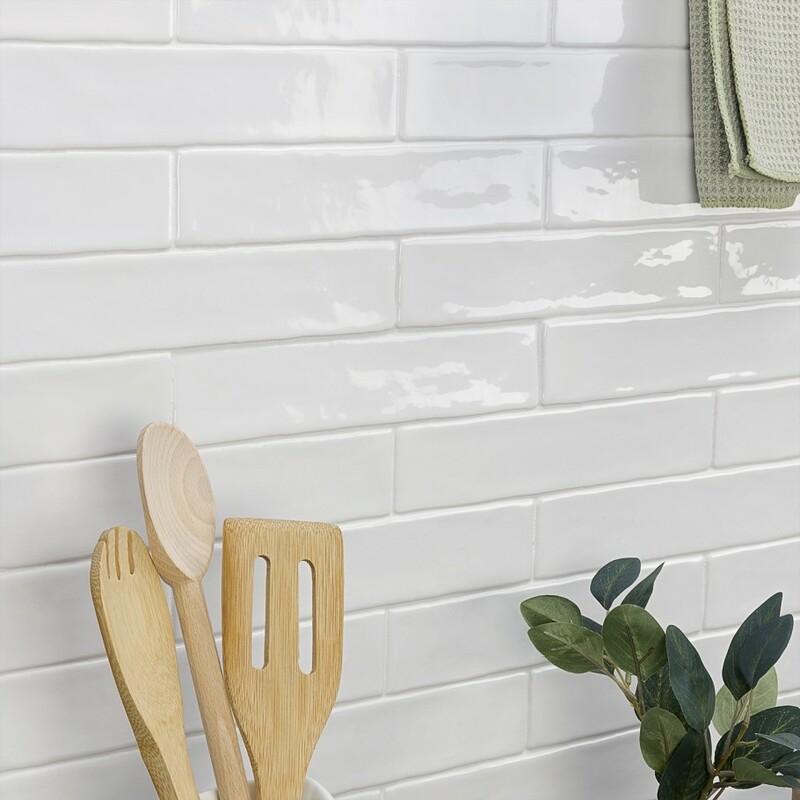 This simple selection of handmade ceramic tile is perfectly suited to beautify your backsplash, accent wall or any space calling for a classic touch. Manchester is available in 7 colorways and 2 formats, along with corresponding chair rail and bullnose trim pieces. Lastly below is the Santa Monica White 4x12 Tile. Utilizing subway tile for your backsplash will add some dimension and style to your kitchen decor, or any decorated room within your home. These ceramic tiles will also give your room a more distinct look and add a mixture of traditional and contemporary feel to your surroundings. As you can see from the options above Subway Tile should not be thought of as boring or ordinary. We hope this post helps inspire you to think creative with your next project. As you can see there are so many amazing options out there so DON’T BE ORDINARY or afraid to step outside your comfort zone! If you are in need of some help incorporating any thing shown above in your next design reach out to us HERE so we can help! We believe everyone deserves a space that makes you feel inspired and reenergized after a long day of work! Spring 2019 One Room Challenge- Week 3: Painting is Complete! !